At some point, your company may find itself needing to hire an outside candidate. There are many ways to go about filling that vacancy, but they are certainly not all equally effective in terms of time, effort or results. If you’re considering retaining an executive search firm in Milwaukee, there are a few things that should be considered. It’s just as important to interview your search firm, as it is to find and vet new employees. With so much riding on the outcome, picking an executive search firm shouldn’t be left to chance. How they source their candidates makes a difference in both quality of the candidates and the length of time it takes to fill find the one that eventually fills the position. Ask if they use a personalized candidate list, if they recruit from job boards or both. Do they have the skill and expertise to find the passive candidates that may fill your specific needs, not just the active job seeker? Do they have access to industry networks? Every industry has their own challenges. It has its own certifications, associations, even its own lingo. Finding executives to manage the safety division of a trucking company is vastly different than finding the next chief information officer of a telecommunications company. Ask if the firm you’re interviewing has experience recruiting for your specific industry or in placing executives in your specific employment vacancy. Do they have network contacts that can be leveraged to help get the best candidates? Ask for professional references from companies with whom they’ve placed executives, especially from companies that are in the same or similar industries. Sometimes there are companies that certain search firms won’t recruit from. The search firm may have a “hands off” policy about recruiting from within that organization, if they have recruited candidates at other similar companies. Beyond just a name, ask about the background of the recruiter who will actually be given the task of finding your next executive. Are you getting an experienced professional or is your project a part of an industry newcomer’s learning curve? Ask about their experience level and professional background. Do they have professional certifications? Will you be in direct contact with one another? Is the recruiter managing a lot of projects? Finding the right executive can help a company grow into a new level and achieve more of its potential. However, hiring the wrong candidate can be costly, monetarily and in terms of morale. This can cause a lack of stability that can effect how investors and stockholder view your company. With stakes like that, the last thing you’ll want to do is just roll the dice. The Lawler Group can find not just candidates, but the right candidate, for your needs. 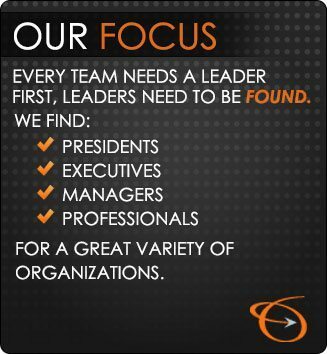 Contact us to find out how we can use the experience and networks that make us the premiere executive search firm in Milwaukee to find your next executive.